Posted on July 28, 2015 by Matt Frazier / This entry was posted in Informative and tagged brooklyn smoke shop, bushwick, bushwick smoke, glass bowl, glass water pipe, new york city smoke shop, new york head shop, new york tobacco, tobacco shop new york, williamsburg smoke shop. Bookmark the permalink. What separates Sunflower Pipes from other smoke shops in NYC? 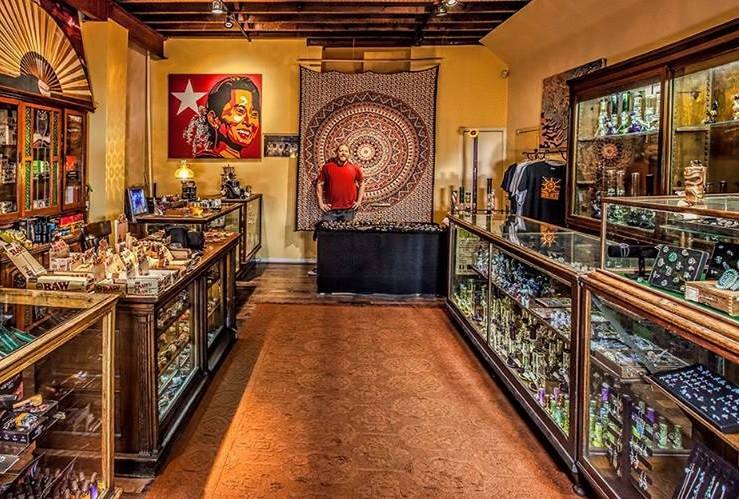 Sunflower Pipes smoke shop believes in providing the best products for the best experience. Every piece in our Bushwick – East Williamsburg smoke shop is handpicked and our selection is diligently curated. As a mom and pop shop we prioritize our customer service. We take the time to talk our customers through the product they are looking to acquire and walk them through all their options by providing them with all the available information we can give. If there are any issues, the employees of Sunflower Pipes will work hard to take care of any problems! We have built a strong relationships with our community, this includes people living in the neighborhood as well as other local businesses. In a lot of ways, we at Sunflower Pipes consider smoking as a ritual of sorts. We realize that it is a very important part of a human being’s routine and we really want to make sure that individuals are provided with the best tools for practicing this beautiful activity. There are so many different ways to smoke. Some people prefer large water pipes with percolators. Some people like to smoke out of a spoon or chillum. Others enjoy using a one-hitter on the go. Many of our customers love to using rolling papers when smoking. This is why we provide a huge selection of rolling papers such as Raw, Element, OCB, Randy’s, Smoking, Juicy Jay’s and more. We are also vigilant about providing our community with the best vaporizers and vape accessories. With a great selection of dry herb, concentrate, and e-liquid vaporizer all needs are fulfilled. Our selection of e-liquid is also quite large with some tasty flavors from brands such as Black Label, King’s Barrel, and Tsunami. Erik really knows his glass! But don’t take our word for it. Come down to the shop and see for yourself We have a large selection of really well made American Glass. chillums, spoons, animals, and more!! We just want to take a moment to thank all of our customers for their support. It’s all because of you that we exist and can continue to exist. We really appreciate it and feel so lucky to be your number one supplier of smoking goods!